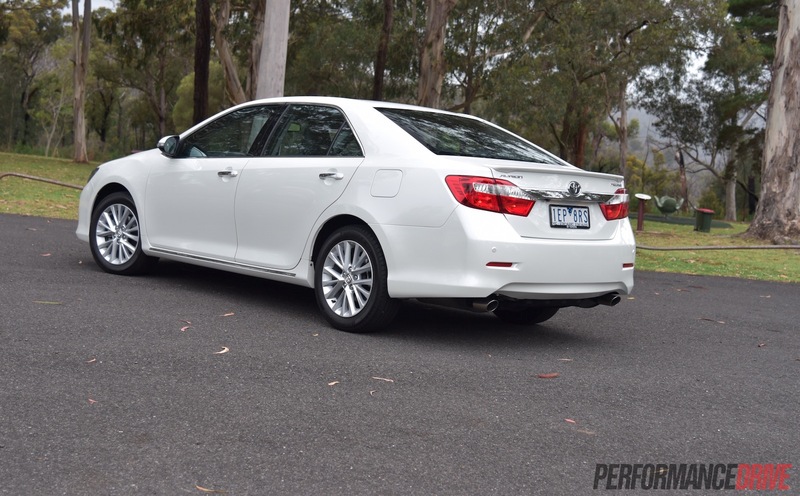 The 2015 Toyota Aurion is the last in a long line of attempts by the big T to win hearts and minds of Falcon and Commodore customers – a market that has dwindled to a small fraction of its former self in recent years. 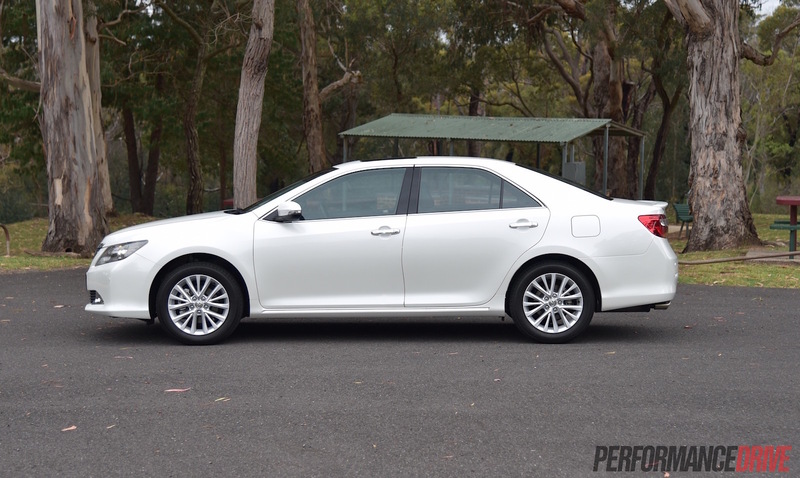 Introduced in 2006, the V6-powered Aurion was split from the Camry range and given a distinct and sporty character, with unique styling by its Melbourne-based Toyota Style Australia design team, as well as local suspension tuning. 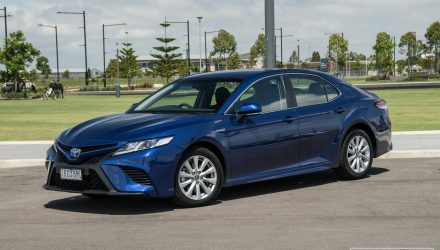 With Ford, Holden and Toyota all announcing local factory closures for 2016-2017, all three manufacturers have rolled out their final updates, including Toyota for its Camry and Aurion models. 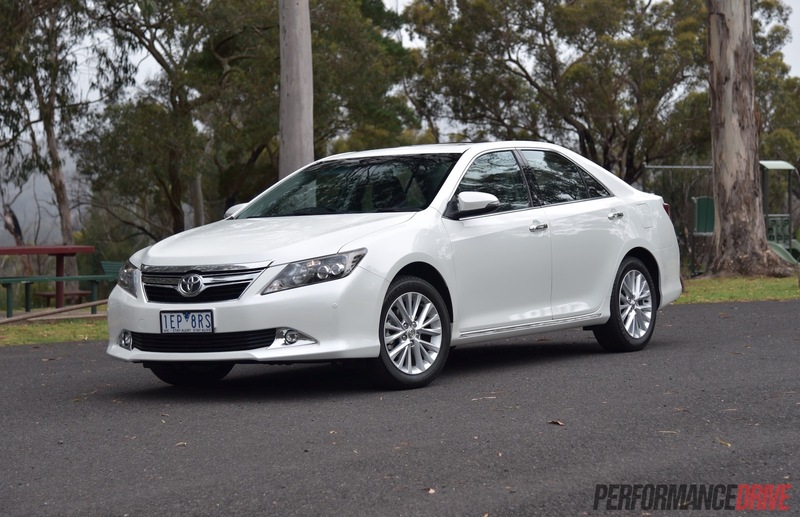 While the Camry received a far more substantial update, including a new bodyshell, the Aurion maintains its existing body with minor styling revisions, plus some worthwhile tech and equipment upgrades. The reason for the difference in attention and development is that Aurion sales have slowed to a trickle (276 sales last month), while Camry dominates the medium car sector (2522 sales). Camry and Aurion still have a healthy export base to the Middle East, even as they head towards the end of local assembly. 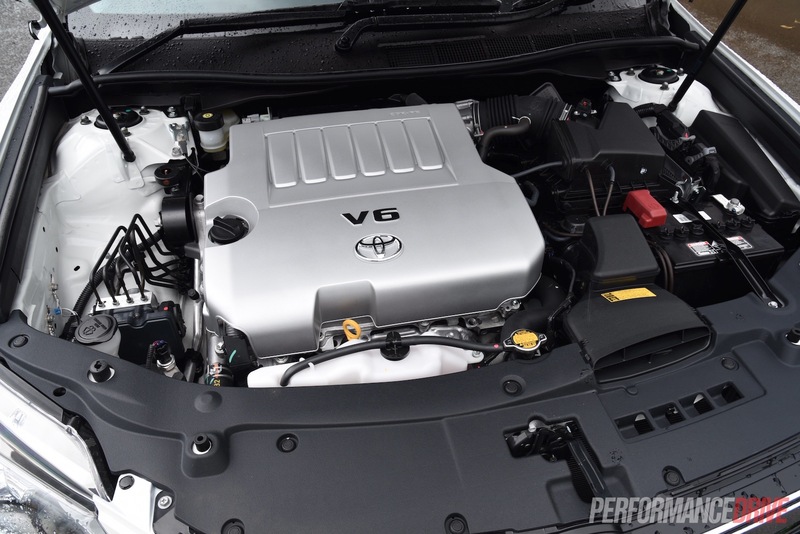 Under the bonnet of all current Aurion variants is the familiar 2GR-FE 3.5-litre V6 which generates 200kW at 6200rpm and 336Nm at 4700rpm. It continues to be tied to a six-speed automatic transmission sending power to the front hoops. 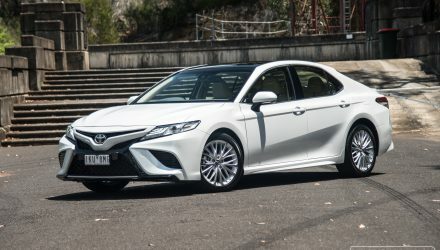 After 2017, Camrys are expected to be sourced from Thailand. 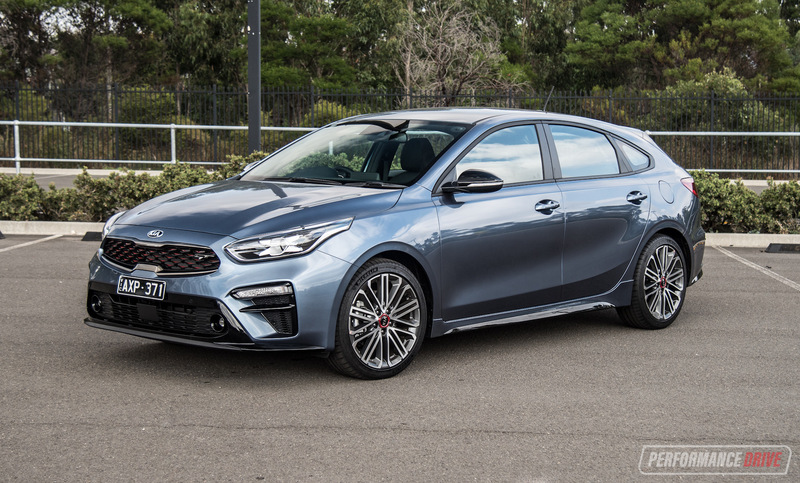 It is unknown if the Aurion nameplate will continue, but rumours suggest the V6 will be replaced by a turbocharged 2.0-litre petrol engine. 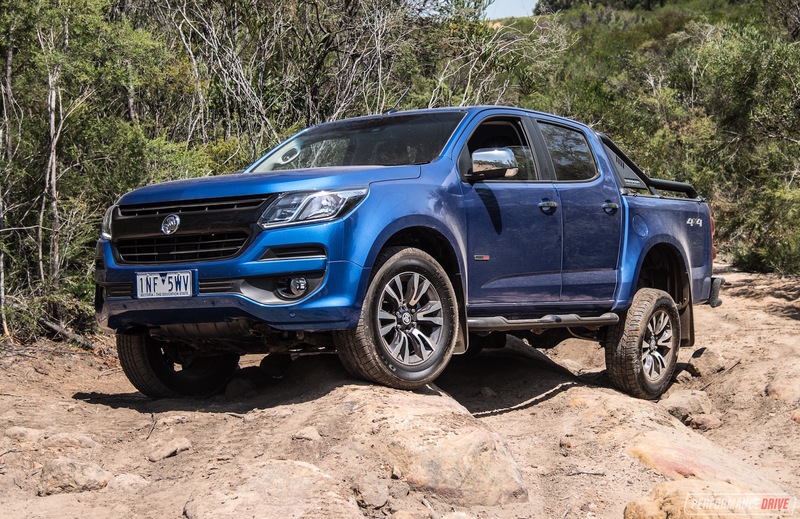 We are sampling the top-spec Presara guise. 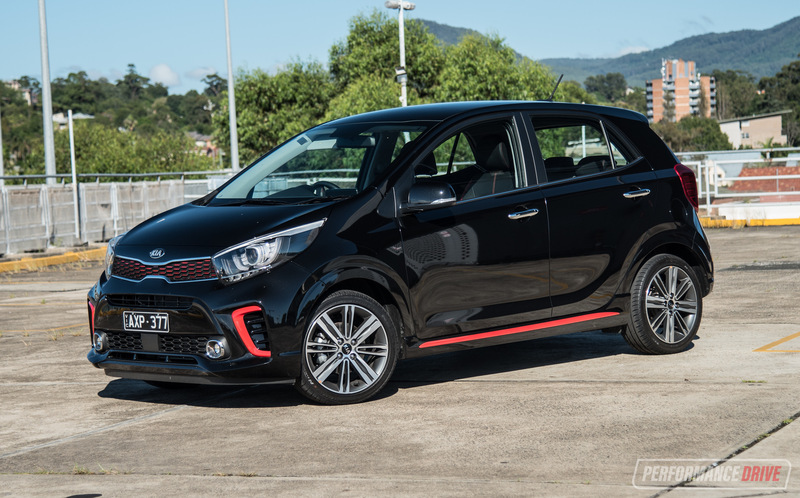 All 2015 models pick up a 4.2-inch colour display in the instrument cluster, front parking sensors, as well as keyless entry and start. 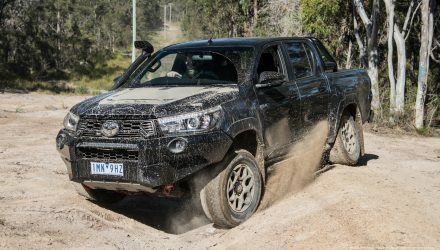 Toyota has fitted a new differential and revised damper and power steering tuning as well. Overall safety is very impressive, with ANCAP giving it one of the highest scores in the industry; 36.59 out of 37. The $49,990 Presara now features LED headlamps, lane departure warning, blind-spot monitoring and rear cross-traffic alert. 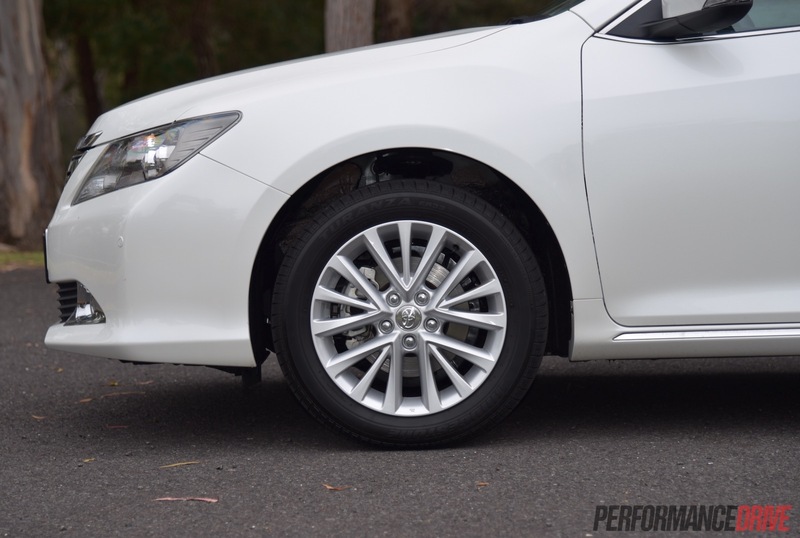 A $1000 option package, featuring 18-inch wheels and a quicker steering ratio (standard on the Aurion Sportivo), is available but the model here is equipped with the standard 17-inch wheel and standard steering setup. Servicing costs are capped at $140 each for the first five visits, at 15,000km or nine-month intervals. Other standard equipment for the Presara includes a power sunroof, electrically-adjustable driver and front passenger seats (with memory for the driver), a full leather trim, dual-zone climate control, reversing camera, a power rear sunshade, satellite navigation with traffic alerts, and a 10-speaker JBL premium audio system. 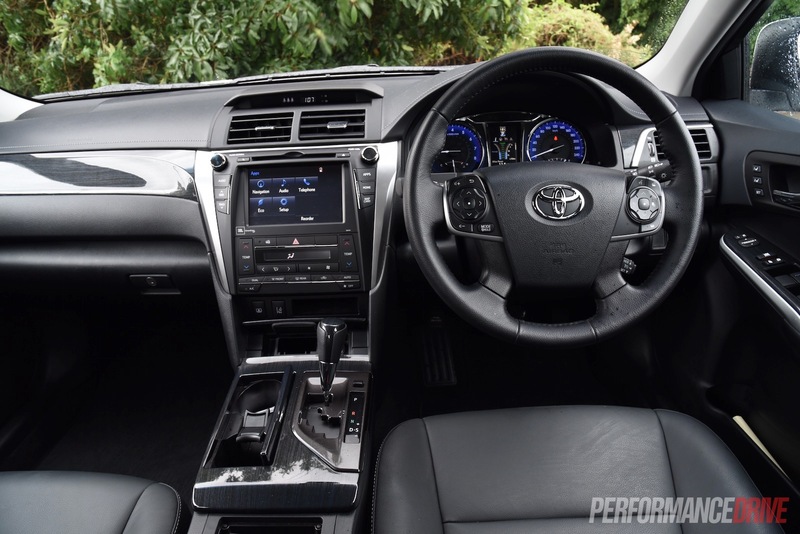 Step inside Toyota’s local flagship sedan and you are immersed in a luxurious environment. The combination of aluminium-like accents and blue woodgrain works a treat. As you press the starter button, an interactive ‘Aurion’ graphic plays in the instrument cluster, before settling into a colourful trip computer display. Blue backlit gauges with thin chrome bezels are nice additions. The steering wheel falls readily to hand, with well-positioned buttons, and cabin space is abundant even for this large sedan class. The seats, while offering a full range of adjustment including lumbar, lack the backrest support of Commodore and Falcon offerings. 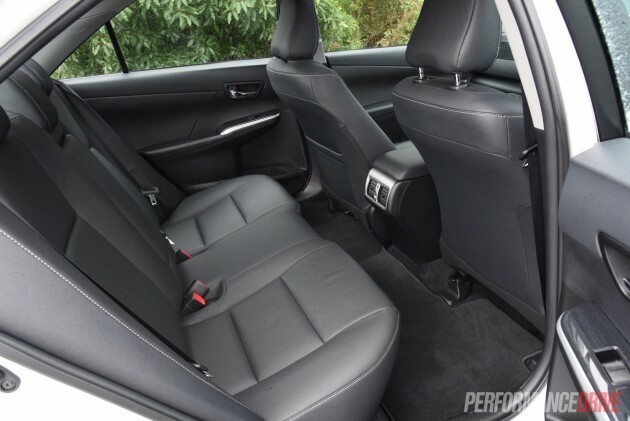 Rear seat accommodation is terrific and unencumbered by the transmission tunnel hump of the rear-drive rivals. 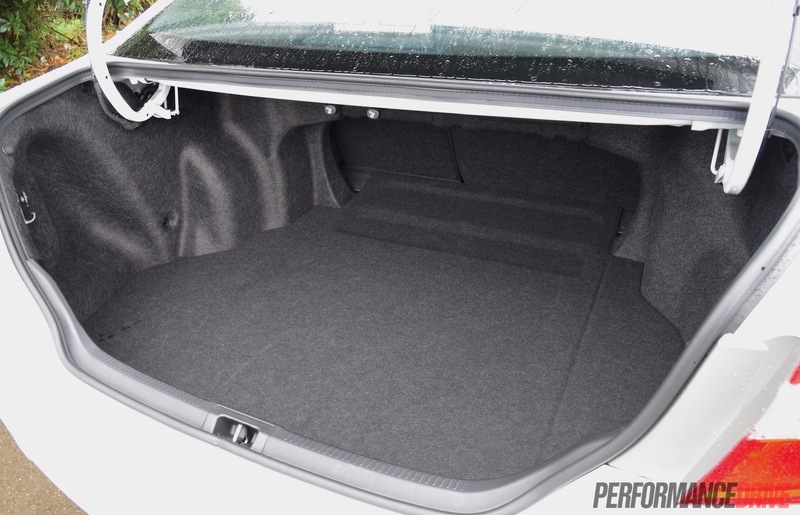 Cargo space is also on the generous side, offering 515 litres. It compares well to the 496-litre Holden Commodore boot, and the 535-litre Ford Falcon. If that’s not enough, the Aurion offers a braked towing capacity of 1600kg. 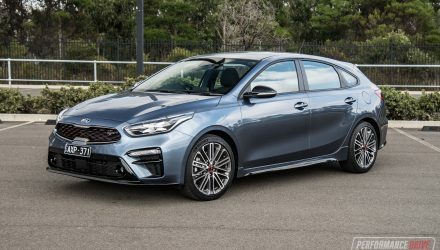 This doesn’t compare well to the six-cylinder Ford Falcon’s 2300kg braked rating or the V6 Holden Calais’s 2100kg braked capacity. The JBL audio system doesn’t offer much outright volume, but there is a real depth and crispness to the sound. 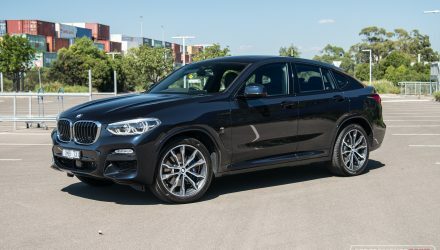 The new infotainment system is intuitive to use and a lot better than the old freestanding system which looked like it was pulled from a JB Hi-Fi catelogue, with easy Bluetooth setup. 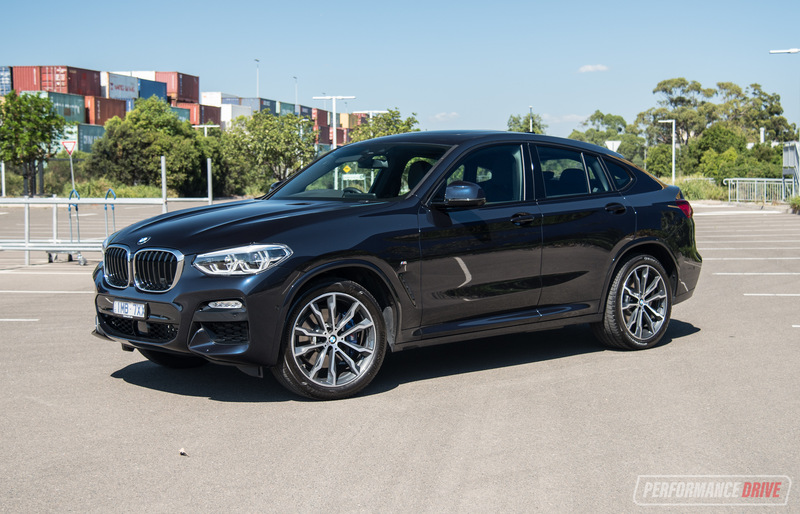 On a scorching 30-plus degree day, the rear sunshade and climate control proved invaluable, although the leather seats could really use some cooling ventilation like some competitors offer we think. 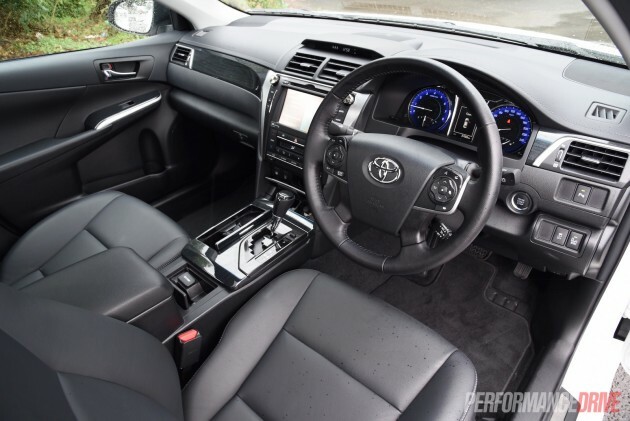 Pull the gated lever into drive and disengage the somewhat annoying foot-operated park brake and then the Aurion’s main asset shines; its engine. Velvet smooth and sonorous, the 2GR-FE is eager to rev, with a surprising mid-range surge that can catch you off guard. The traction control system works hard to contain wheelspin, even during rolling acceleration, with the 215/55 tyres often chirping in protest. For the uninitiated, the Aurion is a properly rapid car and the V6 is a screamer. We timed 0-100km/h in a brisk 6.6 seconds, pitching it well against the other local competitors. The Presara turns in eagerly through corners and sits relatively flat. Once you adapt to the front-wheel drive chassis, the car can produce a certain rhythm going through esses. Conservation of momentum is encouraged, with liberal throttle usage needed to maintain composure. There is a surprising absence of kickback and no need for mid-corner adjustments. 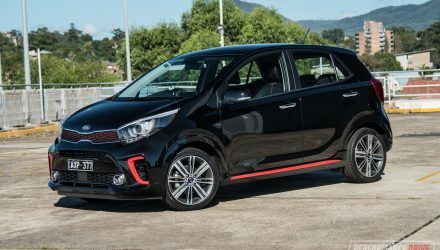 The steering itself is meaty and weighty off centre, accurate, but not offering much in the way of feedback or connection. It would be interesting to see if the $1000 optional package makes a difference. These tall 215/55 tyres probably don’t help either. 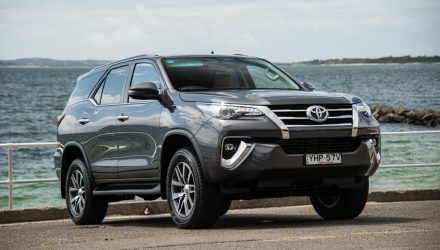 The fundamentally simple chassis, consisting of struts all round, feels like it’s at the end of its life and you can tell Toyota’s engineers have pulled out every trick in the book to reach its full potential. 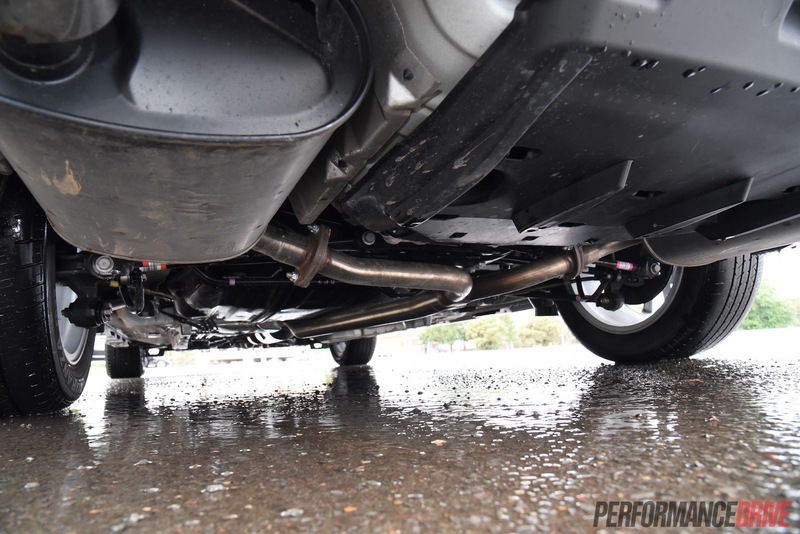 Toyota says it has improved suspension mounting points for increased rigidity for 2015. However, in our opinion, it still lacks the dynamics of the rivals. Out on the freeway the Presara settles quietly at 110km/h showing just below 2000rpm, with little wind noise or tyre roar. Economy settles into the 8L/100km region, as opposed to around town where it is seldom below 11L/100km. The temptation to use all that power is a hindrance to economy, though, there are several graphic displays to encourage frugal driving. The traffic updates and satellite navigation proved bewildering during a nightmare run on a busy highway, becoming confused and finding convoluted alternative routes. Lane departure warning is excellent, offering an unobtrusive beep and graphic if you attempt to indicate and merge when there is another car out of view. 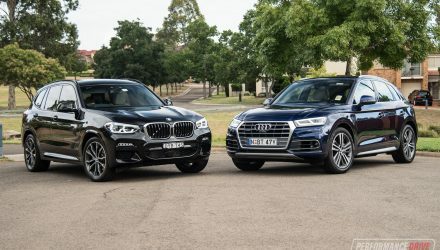 This, as well as the rear cross-traffic alert and blind-spot monitoring, are useful examples of technology that enhance the driving experience without taking anything away from the driver. 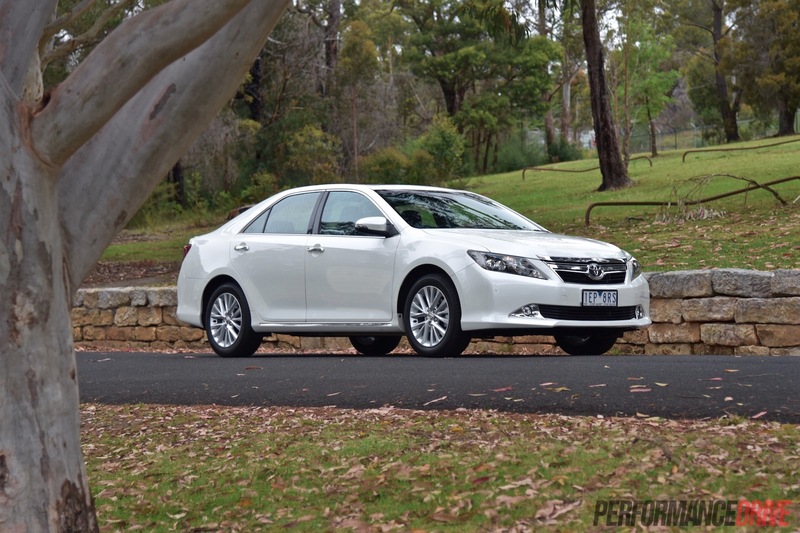 In isolation, the Aurion Presara is a fine luxury car. Interior ambience and cabin space are top notch, with lots of thoughtful inclusions. Compared to some rivals though, for its steep asking price, the Presara is not such a compelling proposition. 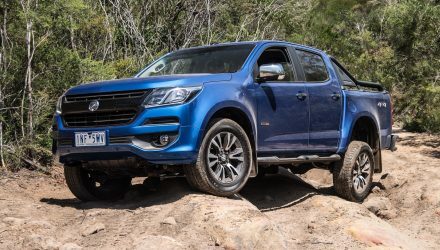 With Holden’s $46,990 Calais V offering things like head-up display, Ford’s $3000 cheaper G6E Turbo providing 70kW more power (both with more resolved, rear-wheel drive platforms), the $49,990 price of the Presara becomes a tall ask. The AT-X and Sportivo seem to make more sense from a value standpoint, particularly with the Sportivo’s 18s and sharper steering. 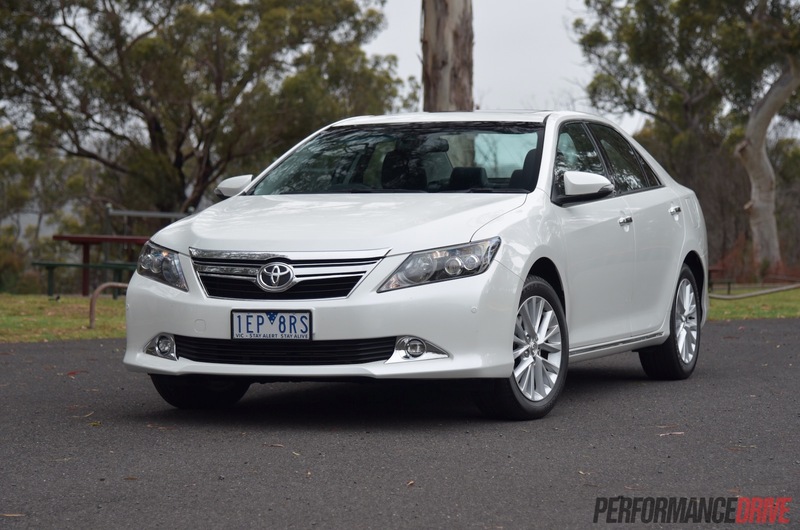 Presara also faces in-house competition from the similarly equipped but nearly $10,000 cheaper Camry Atara SL Hybrid. 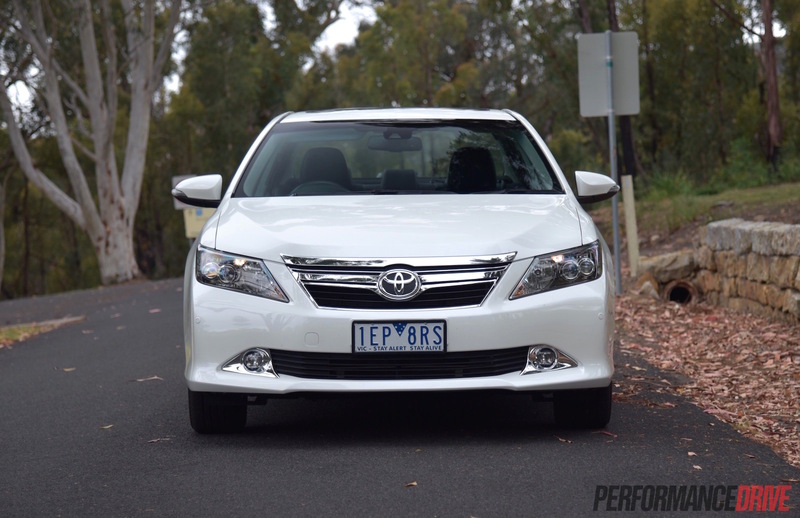 It is a very unforgiving battleground, but you don’t have to drive the Aurion Presara very far to fall for its charming V6 and accommodating luxury interior. 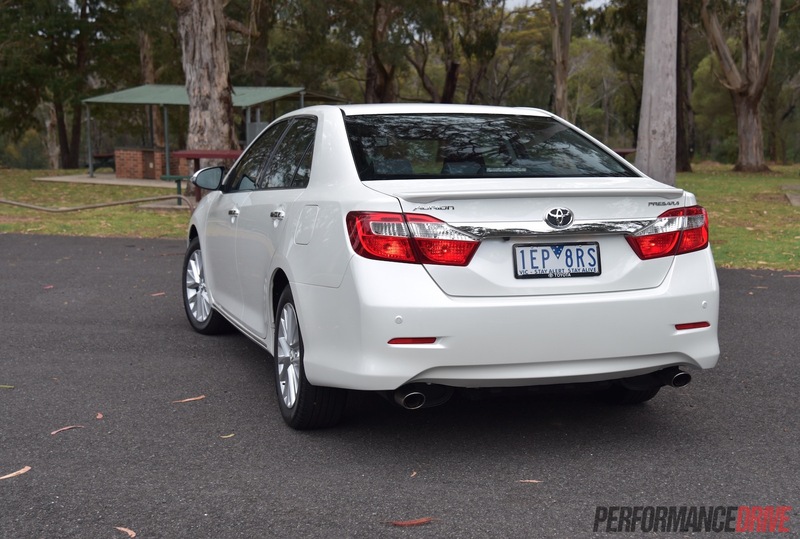 If you absolutely, positively must have a powerful flagship Toyota sedan with a six-cylinder engine, this is the one. You better get one now before it goes out of production.